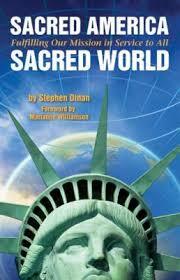 Spiritual leader and activist Matthew Fox has been called many names from renegade, to radical to heretic to warrior. Wednesday, December 28, 3 PM ET on The Halli Casser-Jayne Show the former brother of the Dominican order of the Roman Catholic Church for 34 years before his expulsion by Cardinal Ratzinger, who later became Pope Benedict XVI sits down with Halli for an in-depth conversation in an hour you won’t soon forget. Fox became a member of the Episcopal Church in 1993. He has written 33 books that have been translated into over 40 languages. 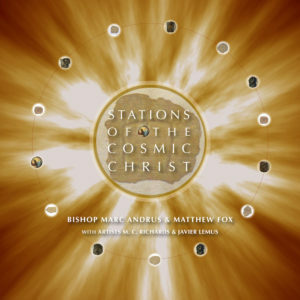 Among them are ORIGINAL BLESSING, THE COMING OF THE COSMIC CHRIST, A SPIRITUALITY NAMED COMPASSION, THE POPE’S WAR and his astonishing biography CONFESSIONS, THE MAKING OF A POSTDENOMINATIONAL PRIEST. Following a stay in Paris which he admits politicized him, he became a champion for the rights of the poor, women, people of color, and gays and lesbians and the founder of the University of Creation Spirituality in California. Spiritually he began to question the teachings of his faith. Fox is the recipient of the Abbey Courage of Conscience Peace Award, other recipients being the Dali Lama, Mother Teresa, and Rosa Parks. From altar boy to Catholic Priest to Prophetic warrior, Matthew Fox is a spiritual force to be reckoned with. 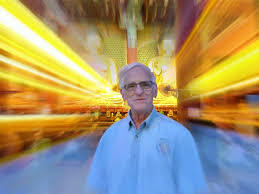 Meet spiritual leader Matthew Fox on The Halli Casser-Jayne Show, Wednesday, December 28, 3 pm ET. For more information visit Halli Casser-Jayne dot com. 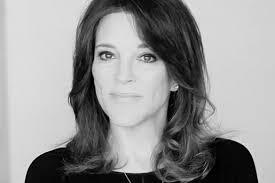 Spiritual teacher and author Marianne Williamson talks politics and her latest book TEARS TO TRIUMPH, and our panel of Four Broads Talking™ take a look at Election 2016 with a focus on the DNC Convention, Wednesday, July 27, 3 pm ET on The Halli Casser-Jayne Show. An unusually candid Marianne Williamson sits down with host Halli Casser-Jayne to talk about her newest book TEARS TO TRIUMPH, THE SPIRITUAL JOURNEY FROM SUFFERING TO ENLIGHTENMENT and the state of our nation’s politics. 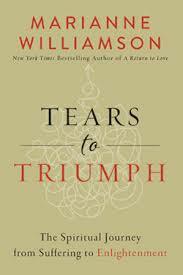 Williamson who has been featured on Oprah, Good Morning America, Charlie Rose and more takes on the modern epidemic of sadness and depression sweeping this country, and shows that human suffering calls for a different kind of intervention than just throwing drugs at it. Williamson who recently ran for Congress and lost has a lot to say about our political system and does! 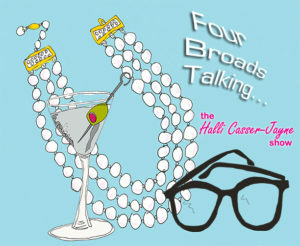 Our smart, feisty, fabulous, fun, Four Broads Talking™ Lisa Schiffren, Suzanna Andrews, Sheila Weller and our host Halli Casser-Jayne are back! So hold onto your hats when the DNC Convention, Donald Trump, the DNC email hacking, Bernie Sanders, Hillary Clinton and who knows what are diced and dissected. It’s politics, spirituality, enlightenment, Election 2016, Marianne Williamson, Four Broads Talking™, fun, all on The Halli Casser-Jayne Show, Wednesday, July 27, 2016, 3 pm ET. For more information visit Halli Casser-Jayne dot com. Academy Award winner Morgan Freeman hosts and executive produces a six-part global television event series, THE STORY OF GOD, premiering Sunday, April 3 at 9/8c on the National Geographic Channel. Contributing to the series is Jodi Magness, a real life Indiana Jones, renowned archaeologist and senior endowed chair in the Department of Religious Studies at the University of North Carolina – the Kenan Distinguished Professor for Teaching Excellence in Early Judaism. Magness joins Halli at her table Wednesday, March 23, 3 pm ET on The Halli Casser-Jayne Show. 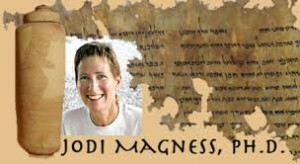 Jodi Magness is the First Vice-President of the Archaeologist Institute of America. She has published 10 books, including THE ARCHAEOLOGY OF THE HOLY LAND, and dozens of articles. Specializing in the archaeology of ancient Palestine – modern Israel, Jordan, and Judea and Samaria – her research interests include Jerusalem, Qumran and the Dead Sea Scrolls, ancient Synagogues, Masada and more. She has participated in 20 different excavations in Israel and Greece. In 2011, she began to dig at Huqoq, an ancient Jewish village in the Galilee of Israel uncovering mosaics, including a scene of Samson carrying the gate of Gaza upon his back (Judges 16:3). A preview of actor Morgan Freeman’s THE STORY OF GOD premiering April 3 at 9/8c on the National Geographic Channel with archaeologist Jodi Magness on The Halli Casser-Jayne Show Wednesday, March 23, 3 pm ET. For more about the show visit Halli Casser-Jayne dot com. This week on The Halli Casser-Jayne Show, Talk Radio for Fine Minds, I had the pleasure of speaking with intuitive Karen L. Garvey. It was quite the conversation. Personally, I believe that we can connect to what Karen calls “the eternal.” But I know a lot of you out there think psychics are psychotic. So, I hope, if you didn’t listen to the live show, you will tune in to the podcast, and with an open-mind. I came to Karen through JD Messinger. JD was on the show a few weeks ago CEOs: LIFE BEYOND THE BOARDROOM that also featured CEO of BlogTalkRadio/Cinchcast and former CEO of PEPSICO, Robert Charles Hunter. In his book, 11 Days in May: The Conversation That Will Change Your Life, JD Messinger tells the story of his life beyond the boardroom the story of a spiritual transformation that started after a second near-death experience. I enjoyed his book and was captivated by the ideas he presented. An off-air conversation led me to Karen L. Garvey, an associate of JD’s. I was equally captivated by Karen, and decided to introduce her to my audience. The rest, as they say is history. 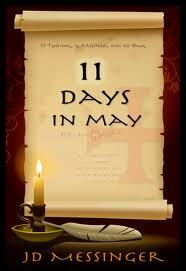 With JD’s permission, I am posting an excerpt from 11 Days in May: The Conversation That Will Change Your Life. Have a read and be sure to listen to my conversation with JD. And don’t miss my talk with Intuitive Karen L. Garvey. Both interviews are available on the player on any page of this website. Enjoy! And let me know your thoughts! Now that I have recharged my system, I want to continue with my last profound thought. Surely, there are trillions upon trillions of knowledge packets flying around me every one billionth of a second in the form of thoughts, radio and television signals and mobile devices. Why then is it that sometimes my receiver picks up these thoughts and other times it doesn’t? Your receiver is always picking them up, but you are discarding them. Discarding them? Why would I want to discard them? It has to do with your intentions. Intentions are the precursors to thoughts. How can there be a thought before a thought? I didn’t say it wasn’t a thought. It is, but it is a different kind of thought. Tell me what we said a thought was. We said a thought was the result of the thinking process and that it was photons filled with information and knowledge. Would you agree that there are different kinds of thoughts? Do you mean good thoughts and not good thoughts? That is one way to categorize thoughts but I was referring to the kinds of thoughts you have. Give me an example of some thoughts you have throughout your day. I suppose prayers might be one kind. Oh, here’s another kind: Hopes and dreams. I’m trying, but I’m not sure there are many more. What distinguishes these different types of thoughts? I guess that would be the goal. The reason I’m having that thought. Is it safe to say the objective of all thoughts is to resolve a problem or achieve a goal? I think that is an excellent beginning, yes. Why do you say beginning? I don’t know. It just popped out of me. By that, you mean you cannot rationally explain the source of that thought. I just said it. I don’t know why. A thought that comes to you without having to think about it is the most powerful thought. What kind of thought is that? What is the source of an inspired thought? If it did not come from your mind, where might it have come from? It must have been floating around me, and my receiver picked it up. My goodness, we’re going in circles! That’s what I’m asking you! Why is it that sometimes my receiver gets it and other times it doesn’t? I told you before, but you were too busy thinking. You shut down your receiver. That you are always receiving information and inspired thoughts but you are not always paying attention. The answer to your question – why you receive some thoughts and not others – is your intentions. If your conscious intention is to solve a problem or achieve a goal your receiver picks up the answer. It is similar to when you are thinking about buying a yellow Volkswagen beetle and all of a sudden you start to see them everywhere. You set your intention to see them. It was the first thought. Oh my, I see! I was trying to solve a problem and I got an answer! … Uh oh. I forgot where we were. You really must clear your mind and be present, in the moment. You said the inspiration you had was giving you the answer to the problem without you having to think about it. You were trying to identify what an intention is, and you said that intentions are the BEGINNING of the thought process. This is like a math postulate. It’s an if-then statement. If all thoughts are to achieve a goal or solve a problem, then the first thought in the thinking process is establishing the intention. That is correct. You receive the thoughts and inspirations when you set an intention. Now let me ask you this, isn’t solving a problem a goal in and of itself? Yes it is. Perhaps we can simplify it by saying that all thoughts are a result of an intention to achieve a goal. The simpler we can make it the better. What we now know is that the intention is the beginning of the thought process and therefore, it is the motivation behind the conscious thought. The interesting part is that although your thought is conscious, the intentions are usually not. That makes sense and that is exactly what just happened! I was motivated to understand what an intention is; I set an intention to understand an intention, and I got the answer! An intention is the beginning of the thought process. You said you were motivated. Do intentions have motivations? All intentions have a motivation. There is a desire for an outcome, is there not? Yes, I think you’re right. There must be motivations behind intentions. Can you give me an example of a motivation? Well, if my thought is about a dream then my motivation is that I want to make my dream come true! It might be for fun or it could be to make money. Give me another example. What about a prayer? I don’t know for sure, but I would presume that most of the time the motivation behind a prayer is from people who are in pain or suffering and they want help. What if you’re not in pain or suffering but are praying? What else might you be praying about? If that is the case, I don’t think you are praying for something. I think you are praying to give something, like thanks. I do believe you understand intentions. Indeed. Whether it is praying or dreaming, the underlying motivation behind all intentions is either a fear or a desire. Every thought has its root with one of these two motivations and this first thought is the intention, the beginning of the thought process that tunes your receiver to pick up information that helps you achieve your goal. Are we finished? I have to think of it like the sonar system. If I wish to hear a whale, I look for one specific frequency, but if I am listening for an enemy submarine, it’s another. I tune out the whale when I’m looking for the enemy. Have it? I don’t think I have it. I still don’t understand why I received the signals for my game and company logo? You wanted to leave your old job and start something new. This intention was not something you were consciously aware of. I said that before. My goodness, you’re right! At the time of the insights, I was not consciously aware that I was even thinking about starting a new company. I’m getting old and forgetful, help me out. What did we call the source of an idea that was not rational? It was an inspiration that was beyond me, outside my own mind. I know, but what is beyond you? My goodness, a divine inspiration unconsciously helped me when I needed it most. Why do you say when you needed it most? I was in a lot of pain and really suffering. Well, that raises another series of excellent questions. I needed help because I was in a lot of pain and suffering. What is pain and suffering? I think that is enough for one day.